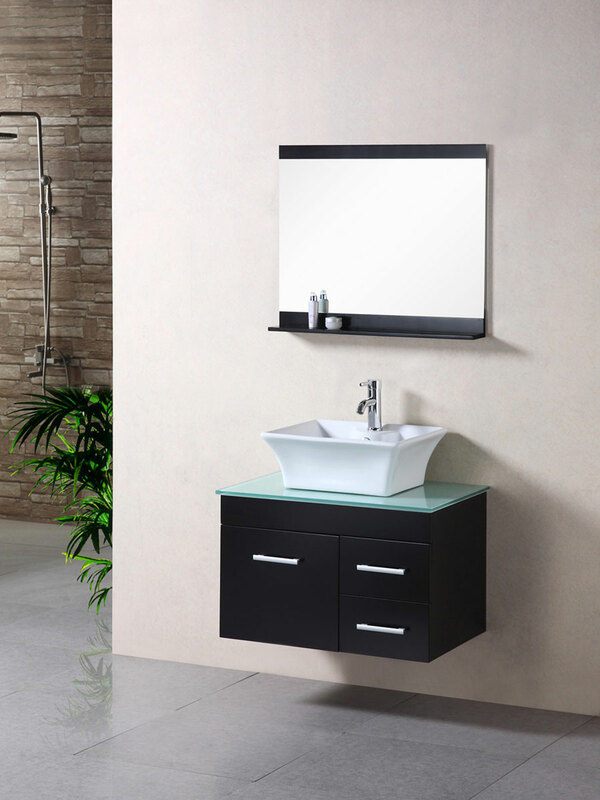 Small, convenient, and highly attractive, the 30" Madrid Single Vanity gives your small bathroom a splendidly stylish approach to the conventional bath vanity. 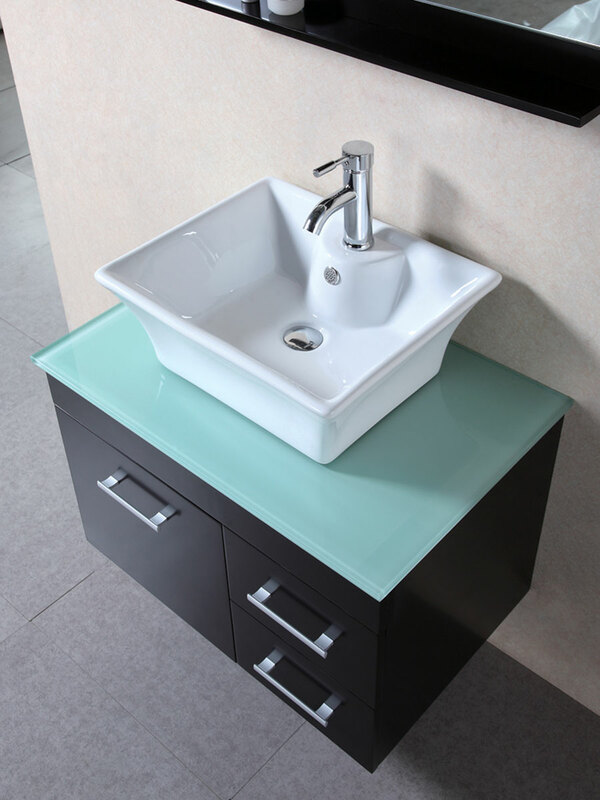 Its dark Espresso finish complements the glass countertop and white porcelain sink, while the matching mirror pulls everything together for one attractive look for your bathroom. 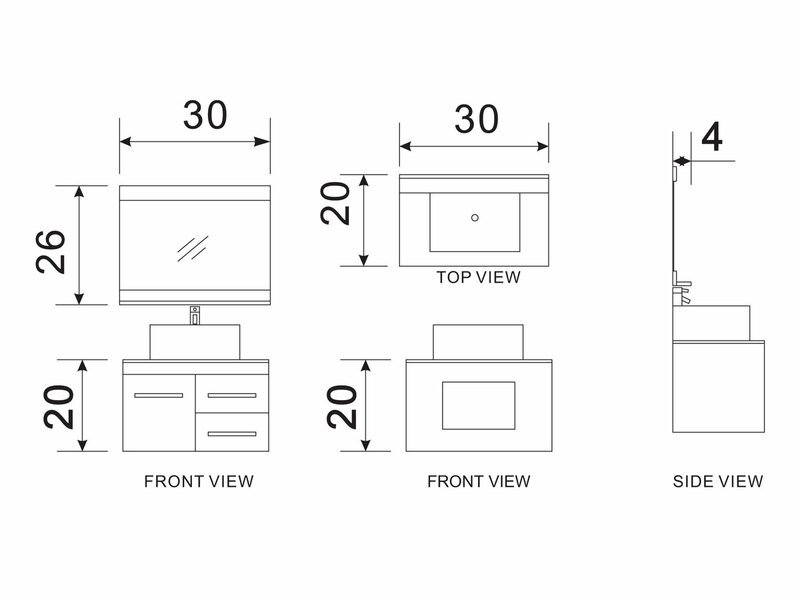 A single-door cabinet and 2 functional drawers gives you a bit of storage space, while the wall-mounted design enhances the look of a "spacious" room for your bathroom.